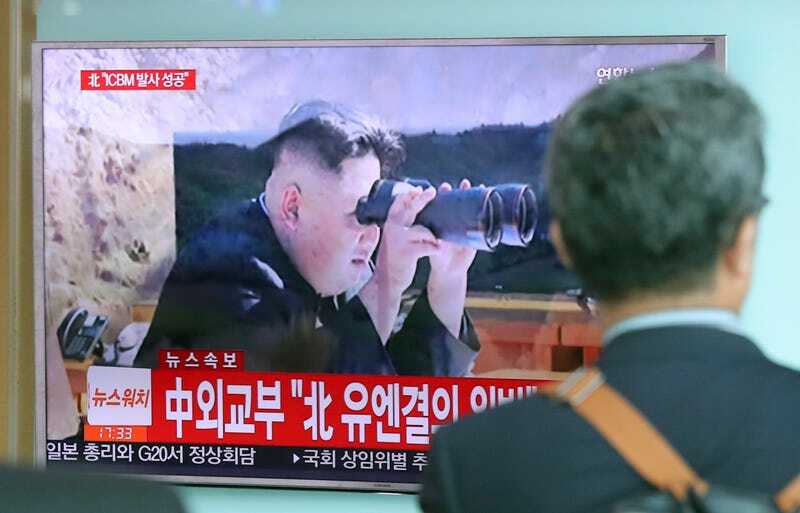 Just in time for America's Fourth of July celebrations, North Korea says it has successfully tested its first intercontinental ballistic missile (ICBM). The country voted most likely to start WWIII says it can now strike targets anywhere in the world, but military experts believe the missile, which flew for 40 minutes, is a medium range weapon that presents no threat to the United States. Both the United States and Russia appear to agree with this assessment, saying North Korea has developed a medium-range missile that presents no threat to either country. What’s more, there’s no indication that North Korea has developed the capacity to miniaturise a nuclear warhead such that it can fit onto a warhead.